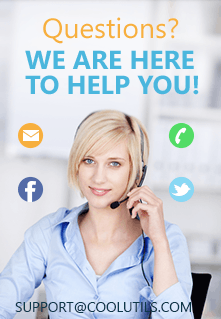 It will be very easy for you to turn the batch of PDF files into RTF documents using this program. 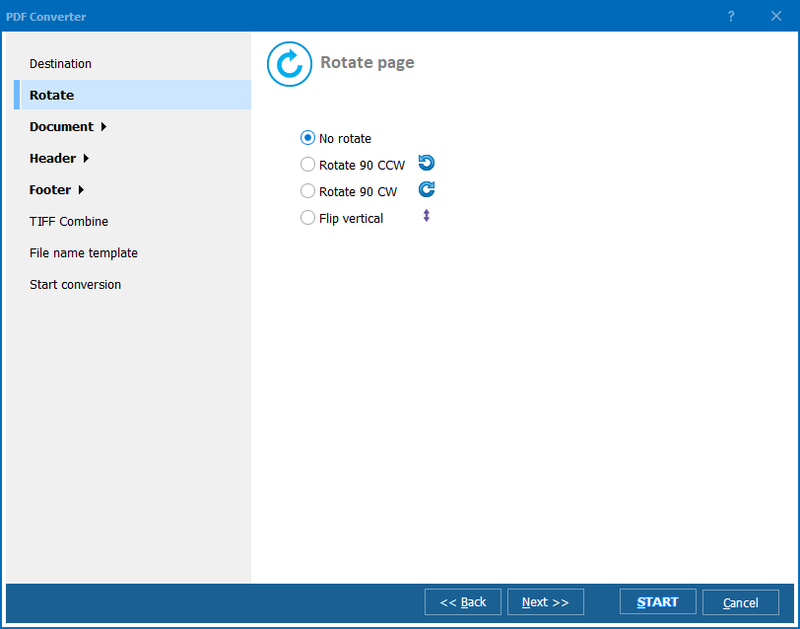 While other apps just convert multi-page PDF into one RTF, Total PDF Converter from CoolUtils can also export each page of a PDF file to separate RTF file. No more edits are required to get RTF copies comfortable for reading, as the program exports original formatting to the new format. All you need is a few mouse clicks. The program will convert PDF to RTF automatically and open the destination folder, where you can see the results. Alongside with graphic interface you can use command line to run conversions. For exporting PDF documents to RTF from the command line open the CMD window and type conversion command there. If it is correct, you will see a progress bar stating the conversion status. When this batch PDF converter is setup on your computer, you will see the 'Convert to' option in file context menu. 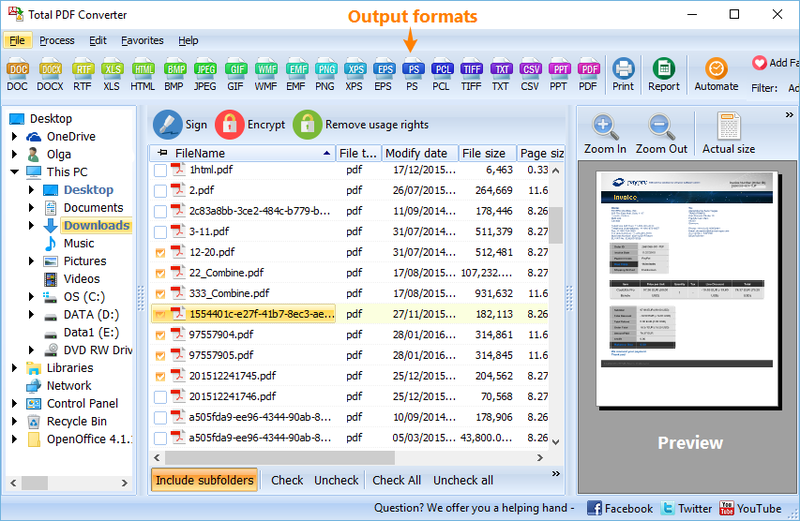 You can also use it to export PDF files to RTF, Doc or other available formats. It is very convenient for exporting one PDF file to RTF right from the desktop. 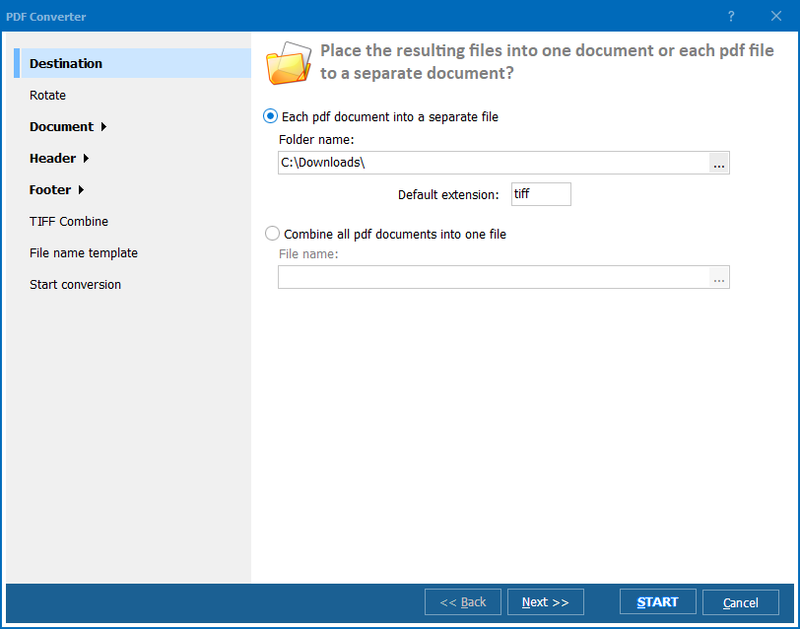 Try to turn your PDFs to RTF documents - download Total PDF Converter in a trial version for 30 days of use.